here's a little experiment. if you look up "gregory ballard" in the white pages, you'll only find one indianapolis address. in the interest of privacy, i won't reprint that address here, though it's easy enough to find. 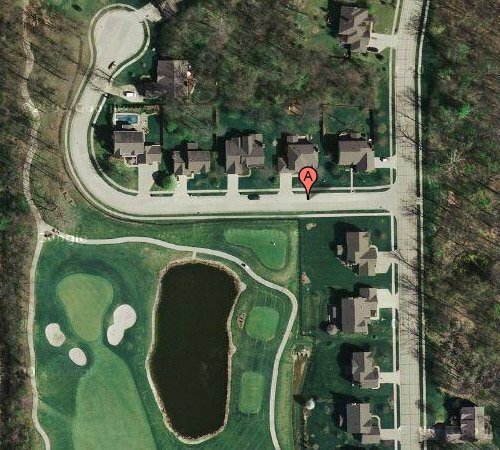 if someone paved over that golf course, or chopped down all those trees behind his large back yard, do you suppose he'd notice? No, the problem here is that the mayor made lots of promises during his campaign and now realizes that he cant keep them. Remember I can trim $70 million from the budget just by little cuts here and there.......he is in deep doo doo and is too stupid to get out.....and just keeps digger deeper and deeper.